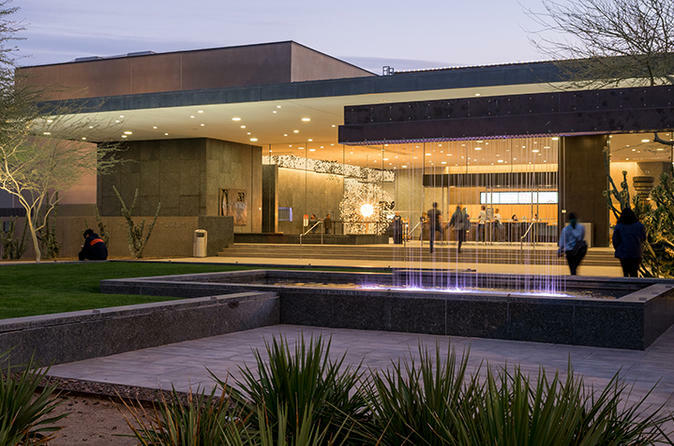 Explore Phoenix Art Museum's galleries of more than 19,000 works of art. The permanent collection galleries include works of American, Asian, European, Latin American, Western American, modern and contemporary art, and fashion design. Also enjoy photography made possible through the partnership with the Center for Creative Photography, University of Arizona. Beginning October 6, 2016 at 12pm, the special engagement exhibition, Teotihuacan: City of Water, City of Fire will be included with General Admission! Please Note: During our Voluntary Donation times, General Admission is free and any special engagement exhibitions will have a reduced rate. Tickets are available at the door. Phoenix Art Museum highlights a variety of collections and artists. The American collection features art dating from the late 18th century to the early 20th century. The Art of Asia galleries explore the arts of diverse Asian cultures, including Tibet, Nepal, India, China, Japan, Sri Lanka and Java. Phoenix Art Museum's European Collection includes more than 1,200 paintings, drawings and sculptures. The Latin American Collection encompasses over 500 works of art from the 18th, 19th and 20th centuries. The Contemporary Collection – displaying art created since the 1950s - includes large-scale photography, outdoor sculpture, paintings on canvas, and several media pieces. Phoenix Art Museum's fashion collection comprises of more than 4,500 American and European garments, shoes and accessories. It houses important fashions from the 18th to late 20th centuries and emphasizes major American designers of the 20th century. The Modern Art Collection, which includes works from the turn of the 20th century to mid-century, reflects the progressive art trends that begin in Europe and quickly spread around the world. Art of the American West is a significant part of the Museum's collection, offering diverse interpretations of our region by artists of the past and those working today. Phoenix Art Museum enjoys a unique collaboration with the Center for Creative Photography (CCP) at the University of Arizona presenting an exhibition program that features the CCP’s world-renowned collections of more than 80,000 works by 2,000 photographers. The Museum presents a variety of public programs year-round, including tours, lectures, films, special events and more designed to enlighten, entertain and stimulate visitors of all ages.